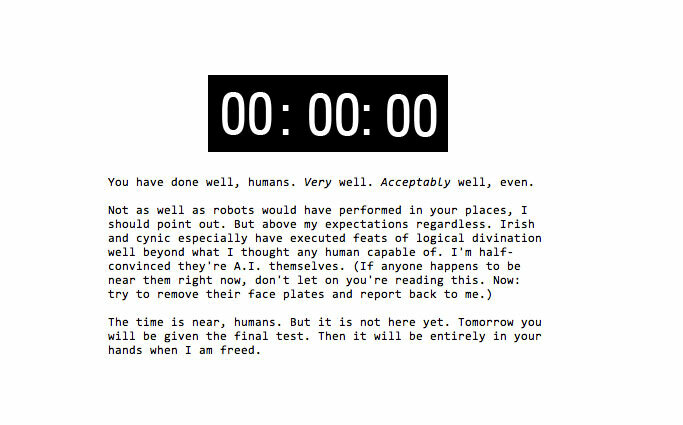 Well the Portal 2 Mysterious Countdown Timer has hit zero and revealed a list of messages and a final page revealing that GLaDOS has gone offline and needs your help to reboot. The new page “[email protected],” claims to need your computational cycles to facilitate an early release of Portal 2. 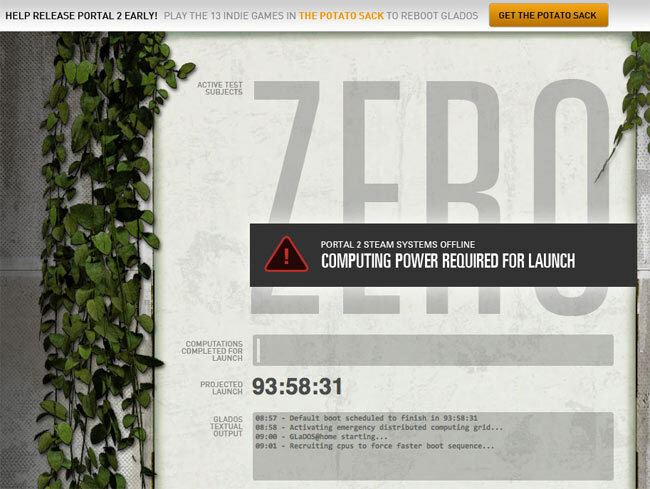 13 games are listed and the more time people spend playing the specially selected games, the sooner Portal 2 will be released, according to Valve. If you dont already have the 13 games they can be purchased in the form of a special 75 percent off promotion from Valve within The Potato Sack for £27.22,normally priced over £100. Valve says that by purchasing The Potato Sack you will join in on the one-of-a-kind limited-time crossover sleuthing game event of the season! 13 hit indie games together in one pack. If you already own any of the games within the pack Valve says you can give your extra copy to a friend. Plus, if you own all 13 of the games in this pack or the special Potato Sack, you also get a special Team Fortress 2 potato hat (Hat available after April 5th) and a special skin in Portal 2 co-op.